"Don't mess with success" was the guiding principle at Ford when the 1957 Thunderbird was introduced. 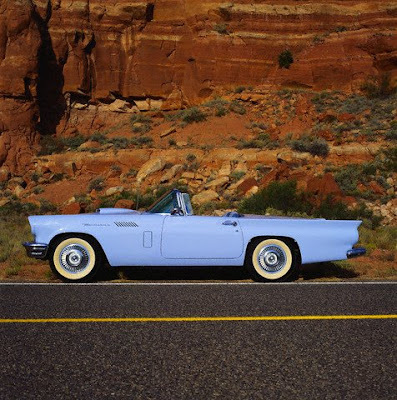 The Thunderbird was Ford's answer to the popular Chevrolet Corvette, and from its debut in 1955 the Thunderbird was a runaway hit. Both cars answered America's demand for a two-seat sports car like the type American GI's had seen in Europe, but the Thunderbird's all-steel body with roll-up windows and a hefty V-8 engine was more refined than the Corvette. This 1957 model was the last two-seater Thunderbird to be built and certainly its most popular.